Early on, Yahoo Aviate eschewed customization for its personal brand of contextual intelligence. The conceit was, after all, that the third-party launcher was smart enough to highlight whatever apps you could possibly need at a given time or location. But Yahoo, perhaps coming to realize that no algorithm is perfect, while also searching for ways to increase mobile traffic on its web properties, introduced Search on Aviate today. Just like Google’s own Search app, Search on Aviate takes the form of a transparent, persistent widget near the top of your homscreen. 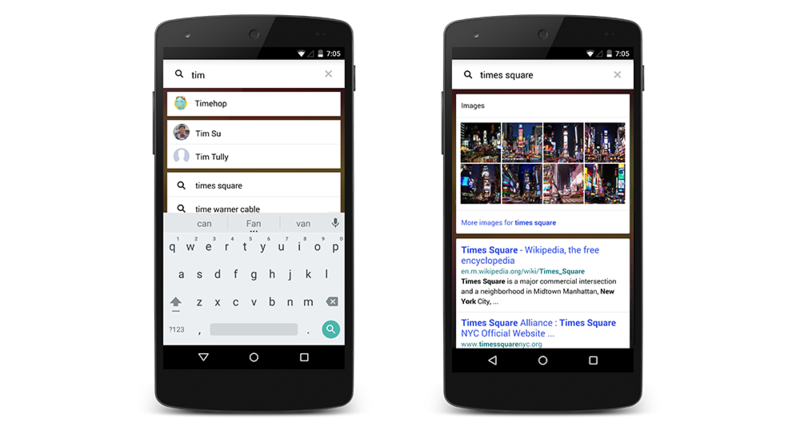 Also like Google Search, it combs through apps, contacts, and Yahoo web results as you type, displaying results on a single page. At the moment, that is pretty much it. The initial release is only for English-speaking users in the United States. If you meet that criteria, and your device is running Android 4.0 or later, Search on Aviate is included in the newest build on Google Play.